Canadian Kenworth Company - Div. 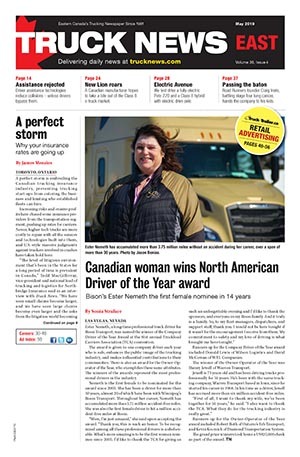 of Paccar of Canada Ltd.
NASHVILLE, Tenn. — Kenworth is coming off a good year, in which it grew its heavy- and medium-duty market share and achieved a new record on the medium-duty side. Jason Skoog, assistant general manager of sales and marketing for Kenworth, said the truck maker grew its Class 8 share to 14.8% of the market, marking its second best year ever. He also said the 9.2% medium-duty market share it achieved was a new record. He made the announcements at the Technology & Maintenance Council’s spring meetings. Skoog noted more than 40% of Kenworth trucks sold now have the Paccar MX-13 engine in them. The company just began production of trucks with the MX-11 engine, which Skoog said reduces weight by about 400 lbs, and provides a fuel economy benefit of about 2%. Kenworth also provided several product updates. Skoog said the company has sold 2,000 T680 and T880 trucks with the new 76-inch mid-roof sleeper launched last year. This gives up to 5% better fuel economy in applications that are best suited for mid-roof sleepers, such as tanker. The company also announced it now has more than 10,000 trucks in service with the company’s new TruckTech+ remote diagnostics platform. They have collectively logged 170 million miles to date. Kenworth is launching a new 40-inch sleeper this month. 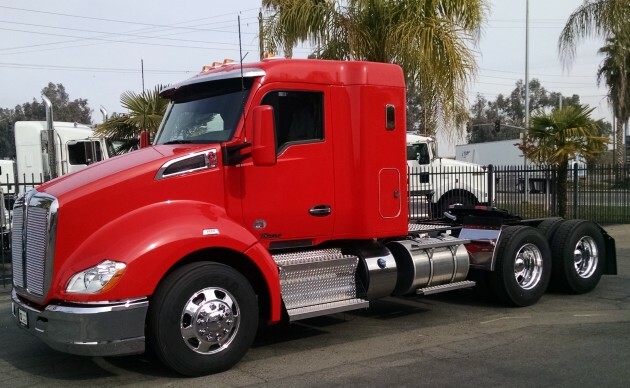 It will provide a 260-lb weight savings compared to a 52-inch sleeper. 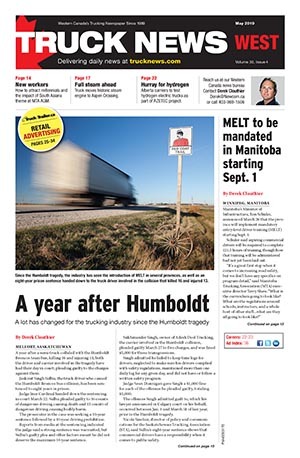 It’s ideal for oilfield applications and others in which a small bunk is needed, Skoog said. The T370 medium-duty truck has been expanded to offer 46,000-lb rear axles for Baby 8 applications. Also new is an extended chassis for the T680 Advantage, which will go into production in May. It’s flared out to improve aerodynamics. An under-sleeper fuel fill option is available. Kenworth also announced it’s offering the new Bendix Wingman Fusion safety system, which combines radar and camera capabilities into a single system. New features include the ability to read speed limit signs and notify the driver or fleet manager when speed infractions occur. Skoog said Kenworth is also launching a new auto start/stop system to ensure batteries are kept charged while the driver is sleeping. And it’s offering a clean back of cab DEF tank on the T880 and T680. Skoog said Kenworth is projecting total truck demand in the US/Canada market to be about 230,000-260,000 units this year, down from about 280,000 in 2015. “We still expect it to be the second or third largest market of the past decade,” he said. A new 40-inch sleeper on a T780.